the control tower Is not operational. The CTAF is normally a UNICOM, MULTICOM, flight service station (FSS) frequency, or a tower frequency. CTAF will be identified in appropriate aeronautical publications. runway, or other necessary information. If the UNICOM frequency is designated as the CTAF, it will be identified in appropriate aeronautical publications. control tower or where a tower is operated on a part-time basis and the tower is not in operation. The CTAFs for FSSs which provide this service are published in appropriate aeronautical publications. activities performed by or directed from private aircraft. Before taxiing and before taxiing on the runway for departure. 10 miles out, and entering downwind, base, and final, and leaving the runway. (d) AWOS-3: provides the information provided by AWOS-2 plus cloud/ceiling data. The information is transmitted over a discrete VHF radio frequency or the voice portion of a local NAVAID. Receivable to a maximum of 25 NM from the AWOS site and a maximum altitude of 10,000 feet AGL. Most AWOS sites also have a dial-up capability so that the messages can be accessed via telephone. ASOS - The ASOS will provide continuous minute-by-minute observations and perform the basic observing functions necessary to generate an aviation routine weather report (METAR) and other aviation weather information. 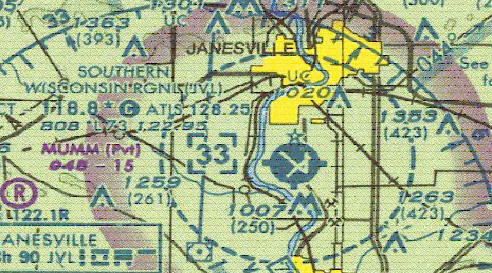 This information includes: wind, runway, and altimeter setting at the airport of intended landing.